While the real estate markets in Vancouver and Calgary have cooled down, the market in Toronto is on an uptrend again and prices are expected to rise if interest rates remain stable. Experts predict that the housing prices in the Greater Toronto Area will keep rising as the market performed quite well this summer. Upward trends can be explained by a combination of factors, including population growth, unemployment rate, personal income. 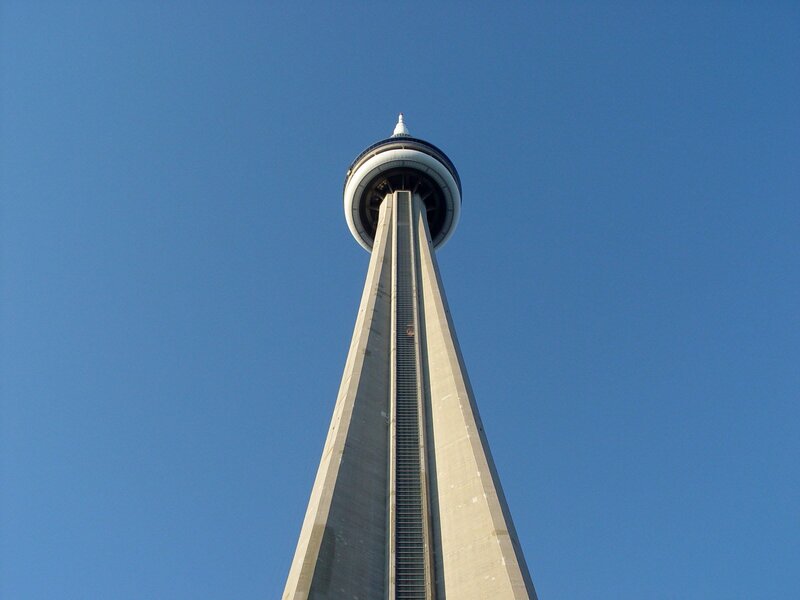 Experts share the opinion that GTA is Ontario's fastest growing area by population. By 2041, GTA's population is expected to reach close to 9.7 million. The Greater Toronto Area also has one of the largest young populations because of factors such as a high natural growth rate and international migration. At the same time, according to the Central 1 Credit Union, prices are expected to grow at a more modest rate because of factors such as increased inflation, government policies to control mortgage debt and cool down the real estate market, and a lower demand on the part of homebuyers. Experts at the Central 1 Credit Union predict that prices will increase by 3 percent in 2019 and 2.8 percent in 2020. In comparison, prices in Guelph are expected to increase by 3.5 percent and 3.6 percent in 2019 and 2020, respectively. Home prices in Barrie will grow by 3.8 percent in 2019 and 4 percent in 2020. Real estate prices in Kitchener-Cambridge-Waterloo are expected to outpace other areas, with an expected growth of 4.5 percent in 2019 and 4.8 percent in 2020. Residential investment in Toronto is also expected to take a downturn during the next two years and decrease by 1.4 percent and 0.5 percent in 2019 and 2020, respectively. Investment in rows and doubles will decrease by 2.6 percent in 2019 and increase by 0.8 percent in 2020. Renovations will increase in number in both 2019 and 2020, from 23,139 in 2018 to 23,418 and 23,695. At the same time, total acquisition costs are expected to go down by 0.9 percent in 2019 and 0.4 percent in 2020. On the positive side, residential stock will increase by 1.7 percent and 1.5 percent during the next two years. Some experts point to the fact that the newly adopted non-residential tax helped cool down the market in Toronto by keeping international investors out. See: Are Housing Prices in Ontario and GTA Finally Going Down? At the same time, an increasing number of tech companies are relocating to Toronto which has a positive effect on the housing market. A report by investment and real estate firm CBRE Group shows that tech companies added more than 80,000 job openings between 2012 and 2017. The influx of tech businesses is expected to drive home prices up much like in other tech-oriented markets such as Washington, D.C., San Francisco, and Seattle. Property prices will continue to increase in such markets, and Toronto is expected to follow the upward trend. Persons who buy land, a condominium, or a house in Toronto are required to pay land transfer tax on closing day. First introduced in 2008, the tax was implemented to boost the city's revenues. Homebuyers pay 2.5 percent on properties priced over $2 million and 2 percent on real estate valued between $400,000 and $2 million. Buyers pay 1.5 percent on homes in the range of $250,000 and $400,000 and 1 percent on properties between $55,000 and $400.000. They pay 0.5 percent on real estate that costs up to $55,000. Non-residents are also subject to the Non-Resident Speculation Tax which is paid by persons who are not permanent residents or citizens and purchase real estate in the Golden Horseshoe Area. A 15-percent tax applies to the purchase of estate. Certain categories are exempt from taxation, one example being land that is transferred between spouses. The same is true for farm land that is transferred from one family member to another and land transferred to a family business by an individual. Refunds are offered to first-time homebuyers provided that they meet the eligibility criteria. Only buyers who are 18 years old or over and are permanent residents or citizens qualify for a rebate provided that they apply within a period of 18 months of the purchase. They must have also lived in the home within 9 months after the purchase. To apply for a rebate, homebuyers are asked to provide information such as transferee name, nature of conveyance, name of spouse, and more. In case of two or more transferees, one of them acts as the recipient of the rebate. The authorizing party is asked to fill in details such as solicitor phone, address, and name, authorized recipient, phone number, and mailing address. Homebuyers who have paid the land transfer tax are entitled to receive a rebate. The maximum amount of the real estate land transfer refund is $4,000 for estate bought after January 1, 2017 and $2,000 for properties that were purchased before this period. Homebuyers can make refund claims at the Ministry of Finance or a land registry office and through the electronic land registration system. When homebuyers claim a refund at the Ministry of Finance, they are asked to provide documents such as proof of permanent residence or citizenship, proof of occupancy, copy of the purchase and sale agreement, and copies of docket summary and registered conveyance. Proof of occupancy can be in the form of magazine or newspaper subscriptions, copy of driver's license, credit card statement, or cable or phone bills. Proof of Canadian citizenship can be a temporary confirmation of registration document, Registered Indian Record, Certified Statement of live birth, Permanent Resident Card, etc. Rebates can be claimed for eligible properties only, including condominiums, mobile homes, townhouses, and semi-detached and detached homes. Fourplex, triplex, and duplex dwellings also qualify for a rebate. Obviously, the major downside is that this tax adds to the cost of home ownership as homebuyers also pay the provincial tax. This makes it more difficult for buyers to purchase real estate. Closing costs are a major perk and include CMHC insurance, title insurance, disbursements and legal fees, appraisal and land survey fees. In some cases, homebuyers also reimburse utility costs and have to pay water quality inspection and home inspection fees. Moving expenses also add up, and it can cost $2,000 or more to hire professional movers. Some real estate experts also point to the fact that this tax is discriminatory because other financial assets such as bonds and stocks are not subject to similar taxes. On the positive side, this is a one-time tax and a source of revenue for the local authorities.